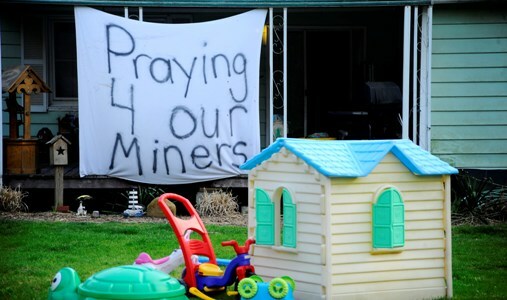 Hundreds of mourners staged candlelight vigils in West Virginia towns the evening of April 7 honoring the 29 coal miners who died in the explosion at Massey Energy’s Upper Big Branch Mine, Monday April 5, and for the four missing miners. Rescuers were forced to turn back, once again, by heavy concentrations of explosive methane in the five-miles-long mine. 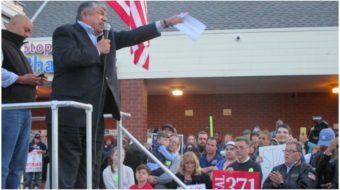 The biggest vigil was in Cabin Creek, site of coalfield wars a century ago as miners struggled to win union rights in the face of vicious coal company union-busting and brutal exploitation. W. Va. Gov. Joe Manchin, a Democrat, came to the Cabin Creek vigil to comfort the families of miners of those who died and of those still missing. 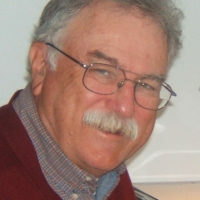 Former Whitesville, W. Va. Mayor, Earl Howell, 85, himself a retired coal miner told Reuters that safety and health in the coal mines has sharply declined as the number of unionized mines has plummeted. That charge was echoed by Jimmy Platt, 54, a former Massey miner now employed as a chef. Platt said the mine “was an accident waiting to happen” as Massey ran roughshod over safety and health regulations. Ten of the citations issued against Massey were for poor ventilation to clear the mine of explosive methane. Pratt said the main difference between a non-union and a unionized mine “is the right to say no” and refuse to work in a gas-filled mine. Meanwhile, more muck oozed out on Massey CEO Don Blankenship. First, at about 9 a.m. April 8, Blankenship updated his Twitter page, which infuriated readers of the Charleston Daily Mail. 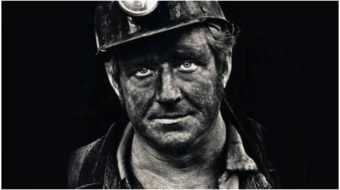 Massey broke a union-recognition strike by the United Mine Workers in the mid-1980s. President Reagan, fresh from destroying PATCO, the air traffic controllers union, gave full support to Massey’s use of strikebreakers, guarded by gun thugs, armored cars and machine guns. Blankenship is a director of the National Mining Association and a director of the U.S. Chamber of Commerce. In a news special, “Is God Green?” broadcast Sept. 7, 2007, Bill Moyers Journal featured working people from southern Appalachia who are fighting mountaintop removal mining. Moyers interviewed Carmelita Brown, who charged that Massey poisoned the water in her well. “In taking on Massey, the Browns and their neighbors are taking on Massey’s president and CEO, Don Blankenship,” Moyers said.